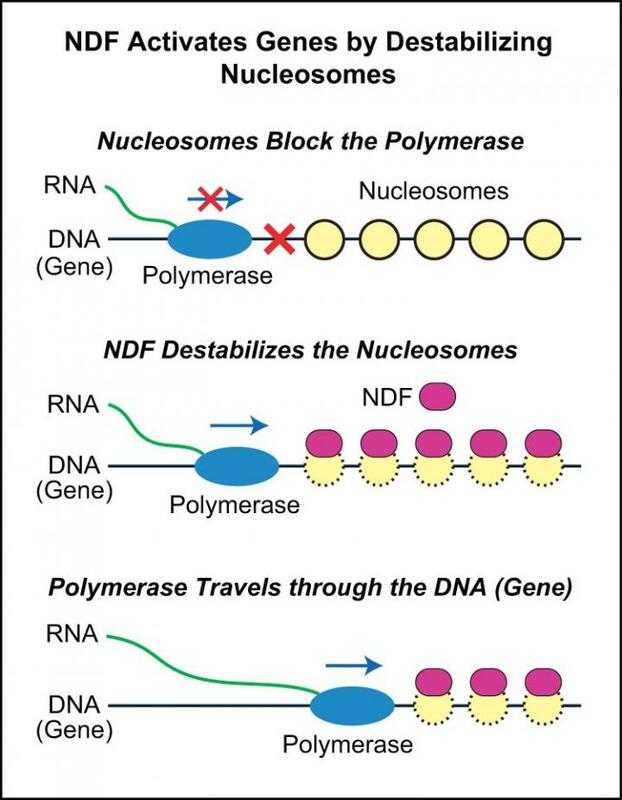 The identification of "NDF," or nucleosome destabilizing factor, is described May 14 in the journal Genes & Development. The researchers say the finding provides a new perspective on how genes are turned on and off–knowledge useful in the study of human diseases such as cancer, which can be caused by improper gene activity. Other coauthors include Haruhiko Ishii and Franz Meitinger of the Ludwig Institute for Cancer Research; and Marten Hoeksema and George Kassavetis of UC San Diego. The Ludwig Institute for Cancer Research, the National Institutes of Health's (NIH) National Institute of Diabetes and Digestive and Kidney Diseases (DK091183), the Foundation Le Ducq and the NIH's National Institute of General Medical Sciences (R35 GM118060) supported the research.